The KTM 690 Duke is without a doubt a fairly potent motorcycle, but the R version raises the bar even higher and features a sportier character. 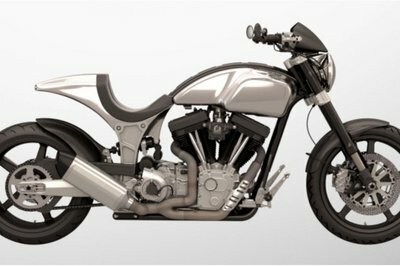 Starting from the tubular space frame made of chrome-molybdenum steel which weighs only 9 kg the entire motorcycle was built with lightness in mind. The frame is combined with a lightweight, 4kg, pin-joined, die-cast swingarm which further helps to keep the motorcycle’s weight under the 150 kg mark. The KTM 690 DUKE R is propelled by a single cylinder, 4 stroke, spark-ignition, liquid cooled engine with a displacement of 690 cc. The unit puts out a maximum power of 69.1 hp which is transferred to the ground by means of a six speed, claw shifted transmission. 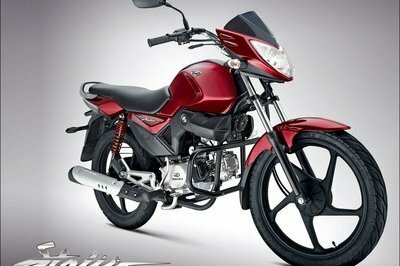 For enhanced safety the motorcycle is also available with a Bosch 9M+ ABS. 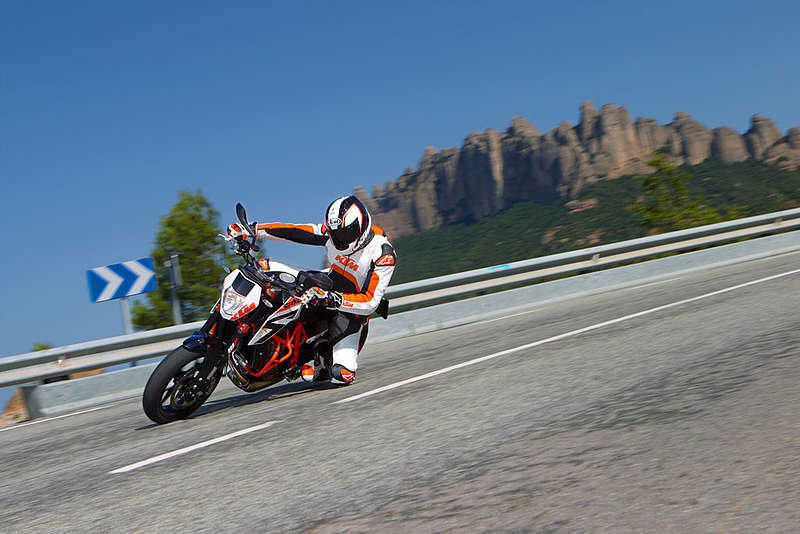 Hit the jump for more information on the KTM 690 Duke R ABS. The KTM 690 Duke R cultivates the sporty genes of the 690 Duke – and differs not only visually very little from the lightning-quick cup rockets that caused such an uproar in the 2012 European Junior Cup: A formidable hot rod for enthusiasts and experts alike, light as a feather, lightning quick, amazingly suitable for everyday use, but with everything that makes a 690 Duke even sportier. Well-equipped for every situation: The Duke’s 43 mm upside-down fork from WP raises the ride height by 15 mm for even greater freedom to lean. It excels with perfect tuning and an unbelievably broad spectrum of use, from relaxed cruising to racing around closed circuits. It’s tuning is child’s play: The appropriate level of compression damping is set on top of the left fork tube and rebound damping on the right. Why? In contrast to normal rebound-compression cartridges, separate oil circuits work independently from each other. Hence the compression stage setting only influences spring compression damping and the rebound setting only that of spring rebound. A precise setup is achieved completely in line with the rider’s wishes, without any mutual interaction. The pivot-arm articulated WP pressurised-gas monoshock with remote reservoir raises the 690 Duke R in order to generate virtually endless freedom to lean. Alongside perfect tuning, it provides an unbelievably broad spectrum of use, from relaxed cruising to racing around closed circuits. Of course it’s also fully adjustable (spring preload, high/low-speed compression damping, rebound damping). In the European Junior Cup, it has impressively demonstrated its racing potential, not even succumbing to the incredible cornering speeds or the braking and acceleration forces with slick tyres. Nevertheless, this doesn’t mean that a comfortable setup isn’t possible in line with the rider’s wishes – on the Duke R, the rider determines the ride behaviour. Three words: attack, control, effortless. 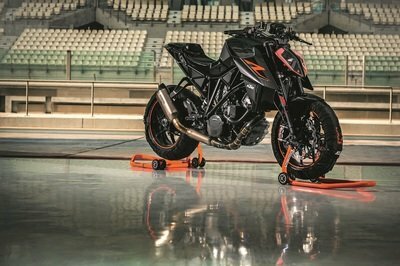 Significantly more aggressive than the 690 Duke, the new 690 Duke R shifts its rider precisely into the position required for hitting the gas – after all, it has the same seat position as the EJC bikes. Bent slightly forwards, with a good foothold on the sportily positioned footrests, with great feel and plenty of freedom of movement on the taut yet comfortable seat, with perfect control on the sportily angled handlebar (840 mm wide, 38 mm rise). "Relaxed" Supermoto racing and command of wicked manoeuvres made easy. And still a good overview, comfort for relaxed trips and all-in-all surprisingly little exertion. Want to bet? Those who prefer to race alone can attach the rear cover to the pillion seat cushion and dismantle the passenger footrests. Good to have if the worst comes to the worst: The orange, steel crashbars protect the 690 Duke R if things should ever get too serious – so that you’re up and running again as quickly as possible without any damage. 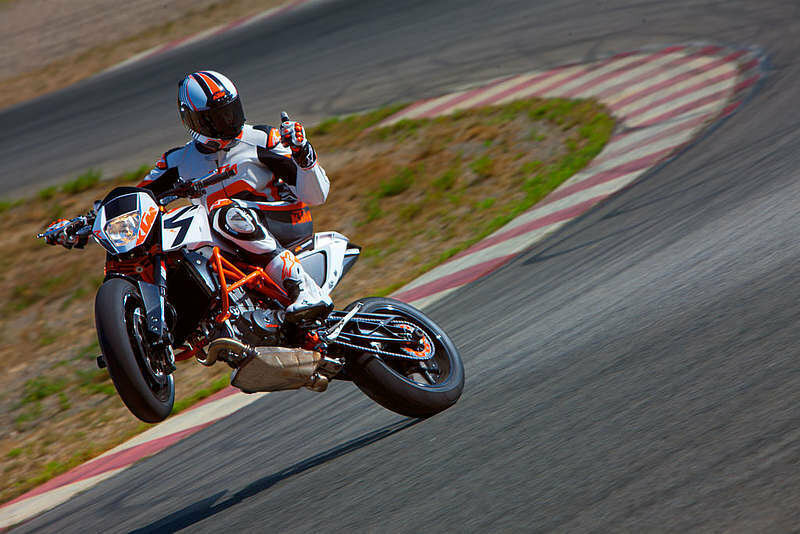 The best from over 20 variants: The KTM test riders had fun selecting the hardware, although they had to spend a lot of time braking at the limits. Brembo rewarded this hard work with a tailor-made radial hand pump that activates the new M50 high-end calliper (substantially lighter than the previous top model and machined from a block of high-strength aluminium for perfect stiffness). Together with a fat 320 mm disc, this team guarantees on-the-spot braking! The machined triple clamps are not simply machined aluminium with a cool anodised skin. Rather, the KTM chassis engineers have tuned the stiffness of these works-of-art precisely to the flex pattern of the fork. Why? Only so can sensitive suspension still be guaranteed under high loads, such as that experienced when braking with the bike leant right over. This in turn generates more grip and a superb feeling of grip. Therefore you’ll be riding a little bit faster. In other words, ahead of the others. 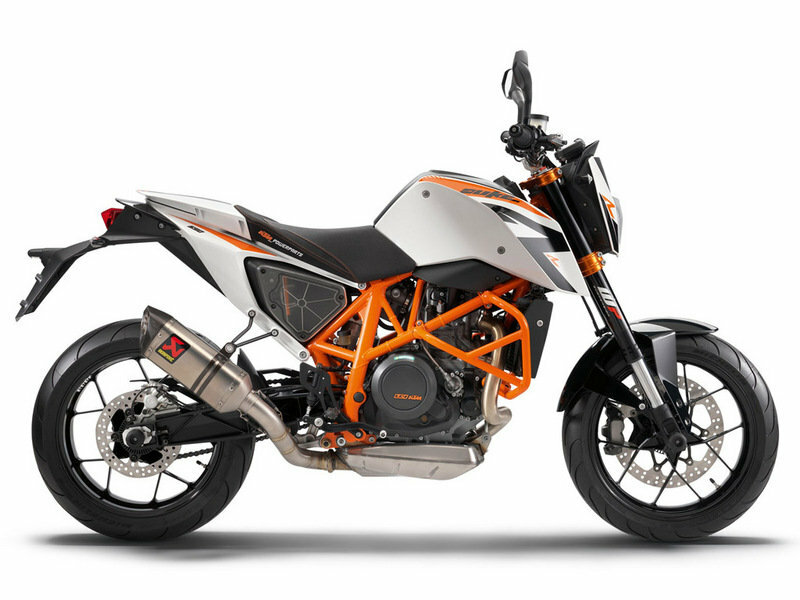 Thanks to the mechanical and electrical refinements, the new 690 Duke R is endowed with incredible fuel economy. Even though the Duke before last had already won international consumption comparison tests with ease. Duke R riding is therefore not only fast, but also economical, while remaining unashamedly fleet-footed, sporty and dynamic. Lightweight components in a large, lightweight entirety: The 9 kg lightweight tubular space frame made from chrome-molybdenum steel and the 4 kg lightweight, high-quality, pin-jointed, die-cast swingarm impress with extreme levels of torsional stiffness, providing the less than 150 kg 690 Duke R with excellent tracking stability. 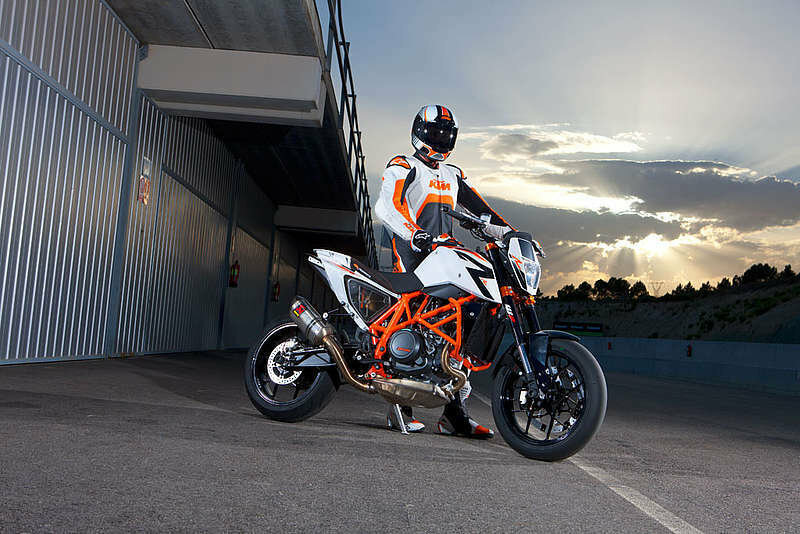 The silencer has been tailor-made for the Duke R by Akrapovic in cooperation with KTM. Not only does it save weight; it also supplies two additional horses. Moreover, it assists the brushed stainless steel pre-silencer underneath the engine in centralising masses – thereby contributing to the playful handling and razor-sharp precision of the new 690 Duke R.
Just like the 690 Duke, the "R" is equipped with a very sportily tuned Bosch 9M+ ABS with outstanding endo prevention. 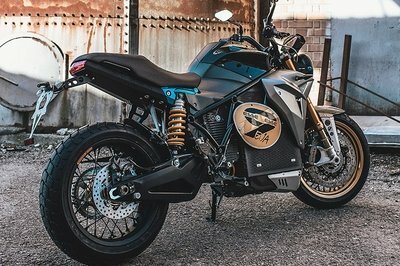 One innovation is the Supermoto mode, activated by a dongle (available as an accessory), with which the front wheel is still prevented from locking by the ABS, but the rear wheel can slide or lock as the whim takes you. After all, a KTM is a KTM. New rims may not appear to be such an innovation at first sight. What new rims mean for a manufacturer perhaps becomes clearer measured against the present-day level of perfection of practically all the components of a motorbike: Major improvements don’t just take a couple of minutes any more. KTM has nevertheless allowed the best technicians to play around with very clever computation software until an extremely lightweight, aesthetically elegant but still very stable and durable set of rims emerged from the casting die. Slightly lighter, but far less rotationally inert because the weight was saved predominantly at the rim ring. The result? 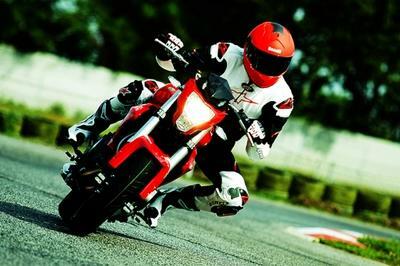 Faster acceleration, shorter braking distance, quicker changes of direction – hence a faster motorbike. The finely balanced crank drive of the 690 single-cylinder converts terrific combustion pressure into unrivalled single-power - thanks to its balancer shaft, which eliminates vibration even better than ever without having any detrimental effect on the life of the super-single. The electronic engine management system always gets optimum performance out of the ingenious LC4 engine. The most advanced technology is employed for this purpose: Twin ignition with individual mapping for each spark plug ensures that the mixture always combusts effectively, irrespective of load and engine speed. And then genuine ride-by-wire, in other words electronically controlled throttle valve actuation without any mechanical linkage. So that the electronics always apply the power as perfectly and therefore smoothly as possible, above all on transition from throttle closed to throttle open. How good does that feel? Simply indescribable. So check it out! The Duke R bears the most cutting-edge single-cylinder engine in the world in its most powerful form: Apart from a full 690 cc, the legendary LC4 uses a freer-breathing Akrapovic titanium silencer for even deeper bass and an extra two horses as a result. 70 hp all in all - or one and a half able-bodied 125 Duke’s more than the next strongest single-cylinder competitor. 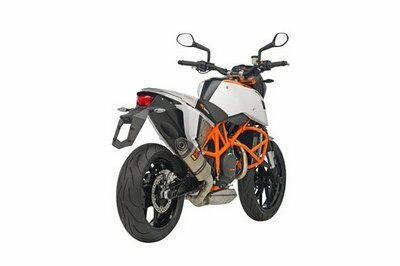 The 690 Duke R has adopted such well-known series production goodies as the slipper clutch and active engine casing ventilation. Genuine ride-by-wire also provides it with unexpectedly smooth, yet always immensely explosive power development; twin ignition with plug-selective mapping ensures the most effective combustion and sensationally low fuel consumption. Add to this service intervals of 10,000 km – never has it been as elegant, cultivated, sporty and effective to be powered by one cylinder. 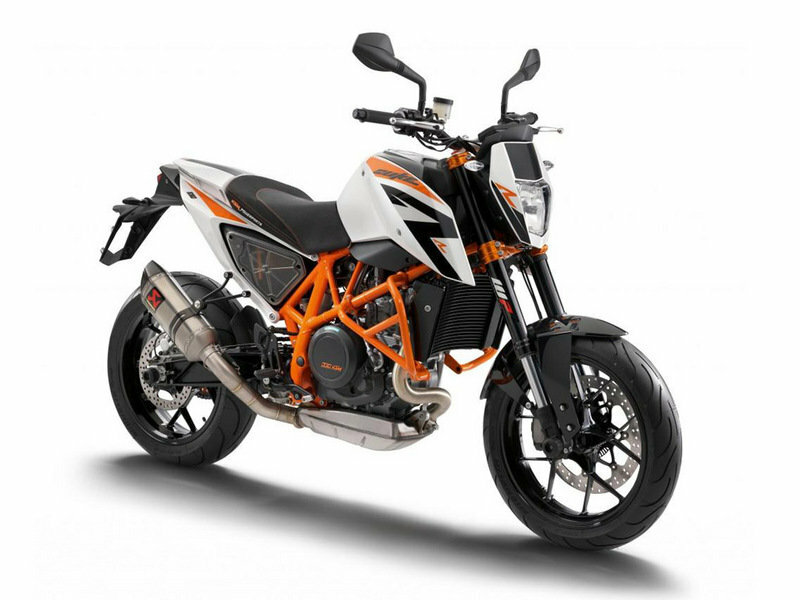 And never has the need for more cylinders been more questionable, since these horses make very light work of the lightweight 690 Duke R.
Greater riding pleasure yet even more safety – ktm 390 duke and lc4 models absolutely A2-compliant! The corresponding press reports convey the impression that the mentioned models are too light and hence not approved for A2 beginners. This impression is inconsistent with the truth. 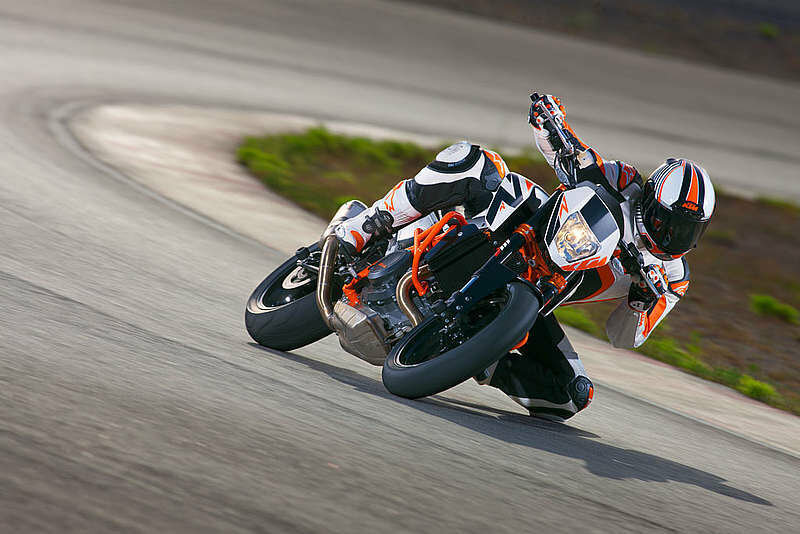 The A2 driving licence prescribes a minimum power-to-weight ratio of 0.2 kW/kg, which is why KTM has homologated performance mappings for all the aforementioned models to make them A2-compliant. Thanks to the mappings, all the listed models achieve the minimum power-to-weight ratio precisely – quite the contrary to most of the overweight competition. Assisted by the mappings, every A2 beginner can benefit from the dynamic advantage of the models being so light – whether it be due to increased riding pleasure when accelerating, when riding demanding trails or due to the much more significant safety factor when braking, in general vehicle control or when evading sudden hazards. The models are therefore not only A2-compliant, but also highly recommendable for novice riders, since they guarantee greater riding pleasure yet even more safety.